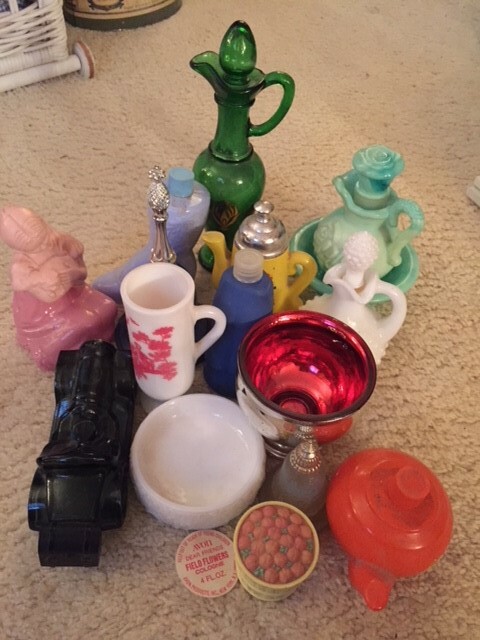 This group of vintage Avon consists of 9 pieces worth between $10.00-$15.00, and 6 others valued between $3.00-$7.00. The 15 pieces are being sold as a single lot at a reduced price, although each item is tagged for individual sale. Price: $95.00 for the lot. Plus 5.5% Maine sales tax. This entry was posted in Avon, Dealers - Wholesale, Fixtures, General Information, Uncategorized and tagged Avon, avon bath, avon cologne, avon perfume, heritage books and maps, Heritage Collectibles. Bookmark the permalink.